Hilarious take on the increased dependence on house-maids in a household... nice one but 7000 is too unrealistic amount for a household of two unless its a huge bungalow...liked the phrase "keep-your-mouth-shut look"
ufff!! that much for a maid!! my goodness.. now i would like to stay messy than get a main inside.. Without a maidservant it would be like 'Jal bin Machali, Nritya bin bijli'! ya truely maids are very important in our lives and agree with Shri Ram ayyangar sir that ''jal bin macchali''philosophy.very well narrated funny story.cheers!! arrr 7000 is bit more for maid ... kahan ki story hai ... Delhi or bangalore main 7000 main 2 maid milta hai ... Delhi main stay-in-Maid ka rate 2200 hai... mumbai ka rate pata nahi!! 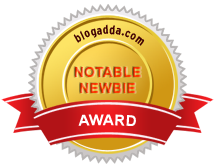 i cant stop laughing :) got link to your blog from indiblogger , i am gonna visit your blog daily now , keep up the good work. And i agree with uday 7000 is way too much for a maid. bangalore mein you will get maid for Rs700 only 10% for that, 7000 for a full year he he. Hilarious post, loved reading it. That was awesome!!! It shows the importance of a work-sharing/helping-hands in your life. It would not be difficult to understand why husbands are less important than a person who does all YOUR work.